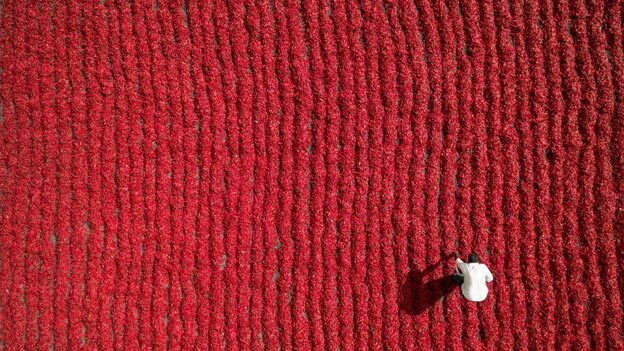 Drone cameras are awesome. 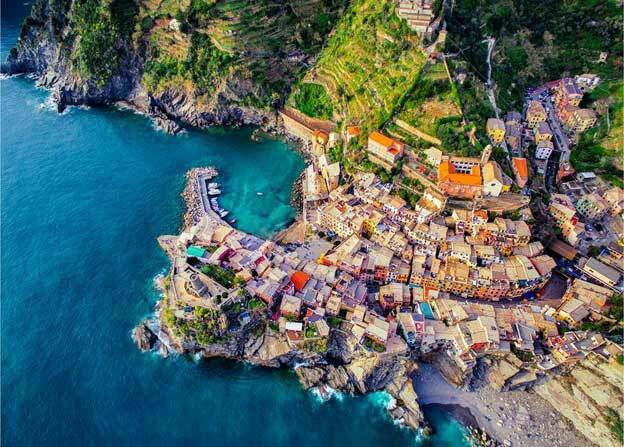 They have opened up a whole new world of photography and given us a new bird’s eye view – or drone’s eye view, if you must – of the world. 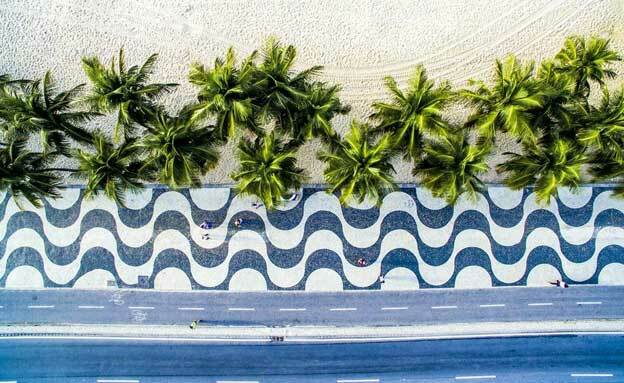 Below are some eye popping examples of pictures taken by drone cameras. 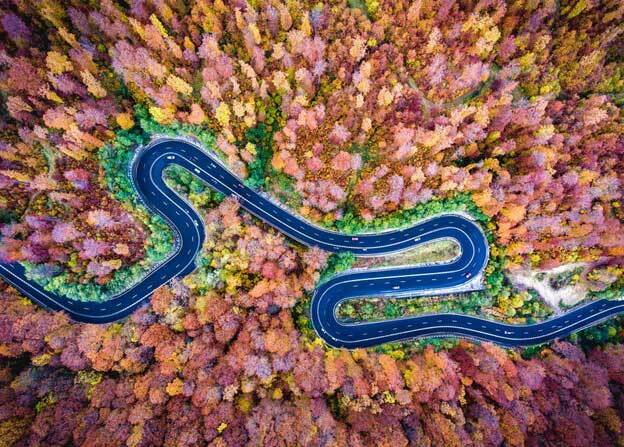 All the pictures are published by Dronestagram. And below are the images, slightly bigger and without the annoying gallery control icons to interfere with your viewing pleasure. 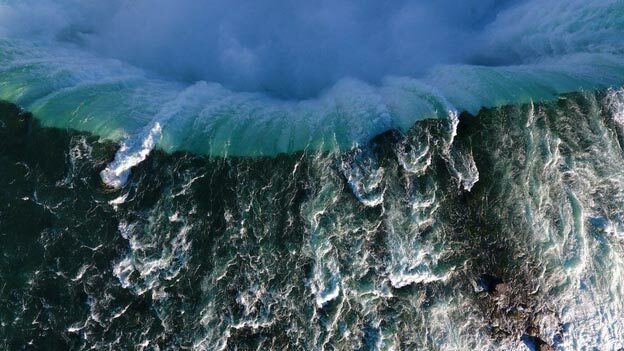 over the side in a barrel. the pizzas are probably quite good. when they’re not hacking things. chillies that would go very nicely in tonight’s curry. needed something to help them wobble. Sighisoara, Transylvania, is the birthplace of Vlad the Impaler – otherwise known as Dracula – so this would be a Vlad the Impaler’s view of home. 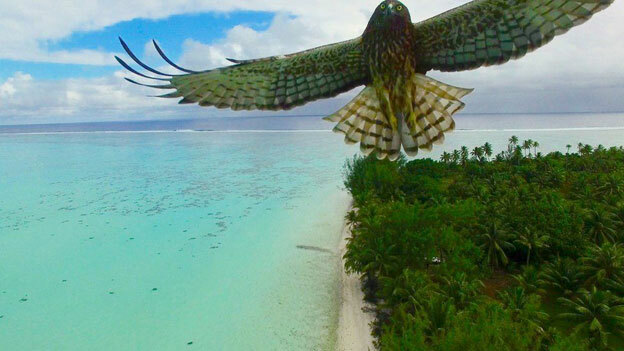 Dinner’s eye view – probably safe to assume this is the sort of last thing this Polynesian eagle’s dinners see. 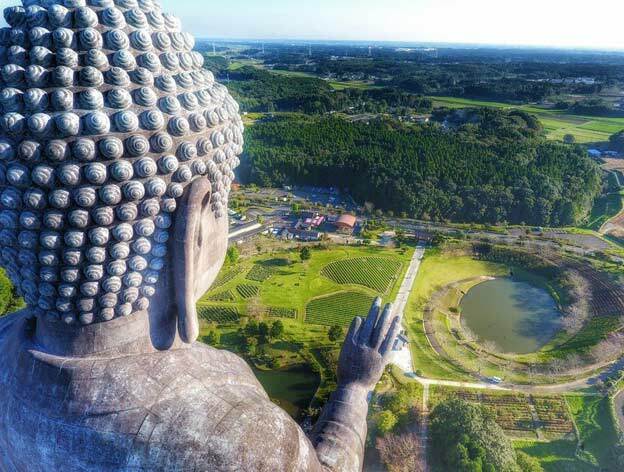 One big Ushiku Daibutsu (I think that might be Buddha in Japanese) looks out over the verdant landscape of Ibaraki Prefecture, Japan. 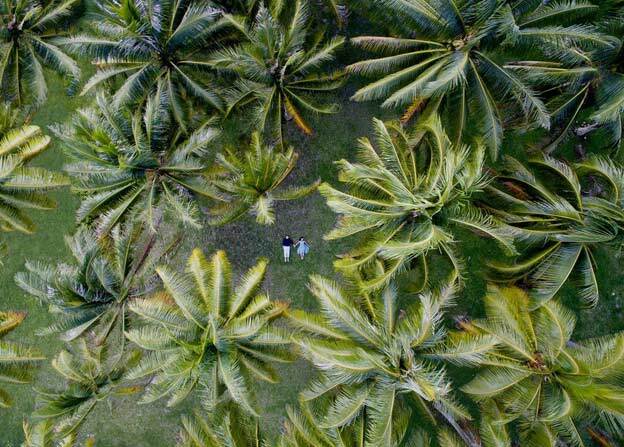 A pair taking in the swaying palms in French Polynesia. Wonder what they would be upto a few minutes later and if the photographer chose not to publish THOSE images. 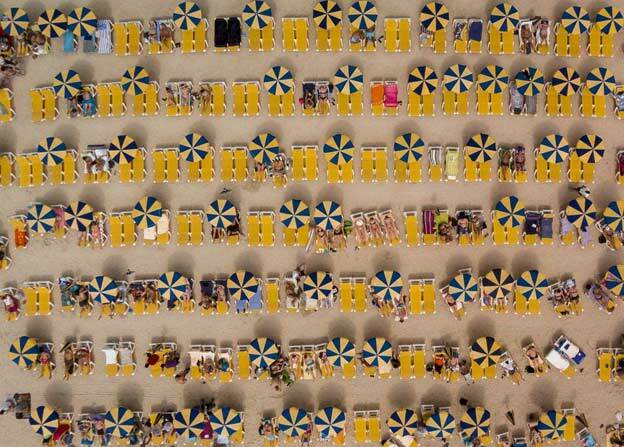 Production line beach life in Gran Canaria, Spain. 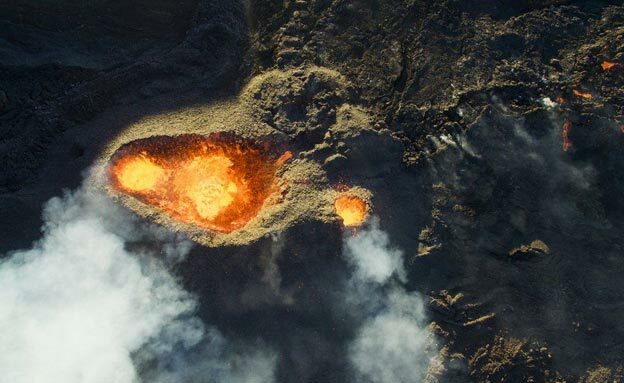 An erupting volcano on Reunion Island – one way to photograph volcanoes without singing your eyebrows. 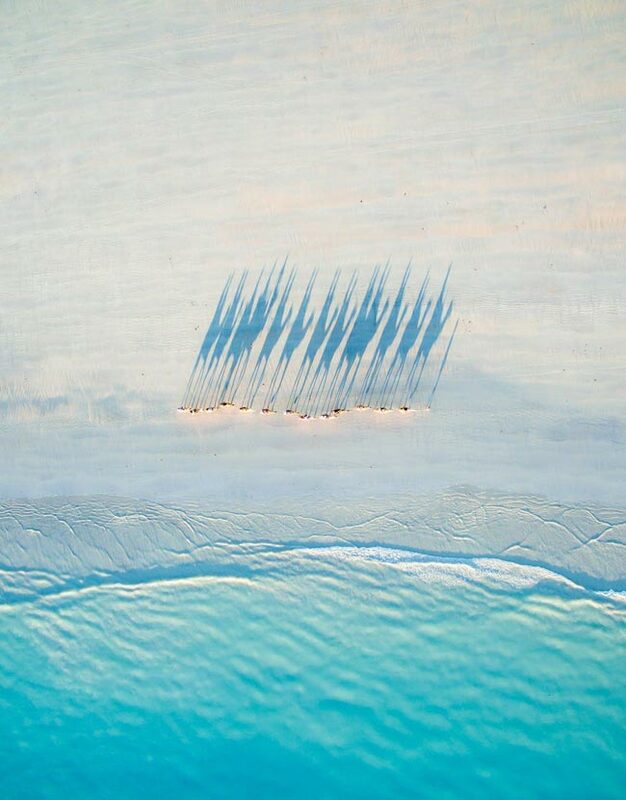 Caravan of tourist bearing camels cast long shadows on Cable Beach is Australia. 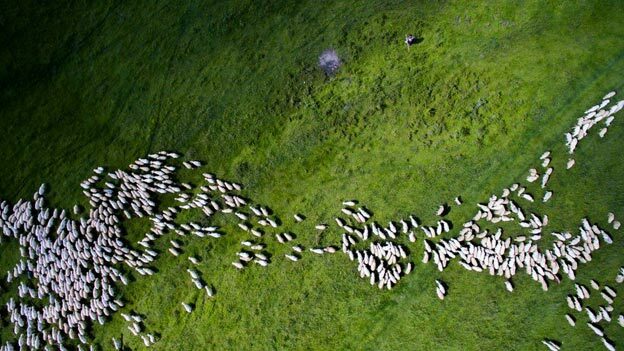 Patterns of sheep in Romania – who knew sheep could be so artistic? 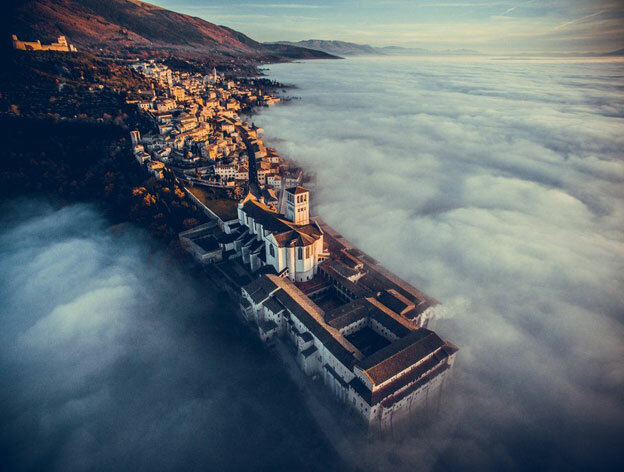 Basilica of Saint Francis of Assisi in Umbria, Italy rises above the swirling clouds – probably some good pizzas to be had here too. 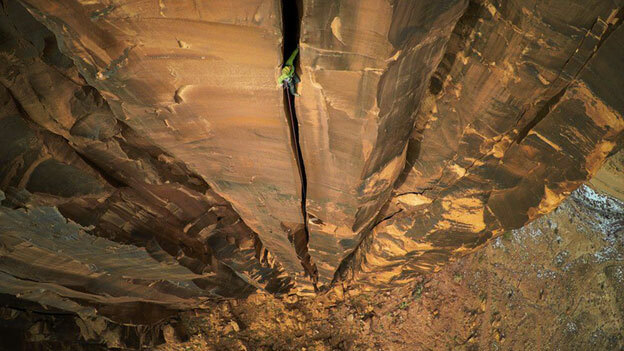 A rather mind boggling view of climbers doing their thing in Moab, Utah. 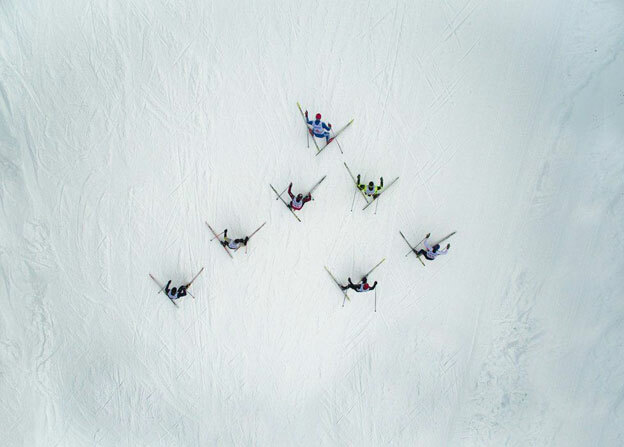 This entry was posted in Gear, Pictures by stujinnes@gmail.com. Bookmark the permalink.